Goes on smooth, dries fast. Keeps your hands moisturized. Great for working hands and hands in extreme elements. 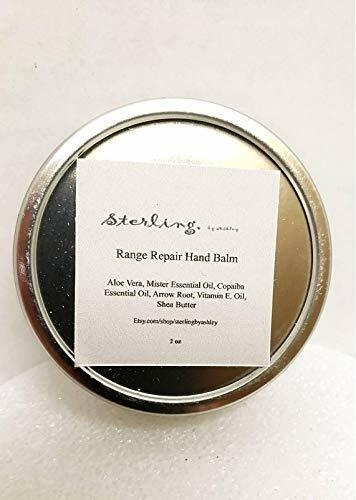 If you have any questions about this product by Sterling, by Ashley, contact us by completing and submitting the form below. If you are looking for a specif part number, please include it with your message. Galaxy Goo Jelly Hand Soap 4oz Bar Wiggles and Jiggles lasts long times and kids love it what better way to get them to wash! JANECKA Hand & Foot Balm ( Two - 2 oz Jars ) Excellent for eczema and psoriasis. JANECKA Hand & Foot Balm ( 2 oz Jar and .35 oz Travel Size ) Excellent for eczema and psoriasis. Very Moisturizing Night Hand Butter Bar. Perfect for dry skin. Handmade with beeswax.